McGuire Skip Hire is a family run business which has been serving both the commercial and domestic industry for 24 years. Operating from its Waste Transfer Station 5 minutes from the M8 Motorway , McGuire Skip Hire is able to promptly supply its skips to the vast majority of Glasgow City, Greater Glasgow, Renfrewshire and East Renfrewshire. McGuire Skip Hire are confident that they can supply the right skip for your requirements, INCLUDING 2, 4, 8, 14 and 16 yard skips. 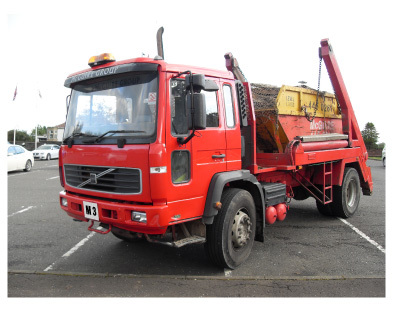 For a full breakdown of all our skips please go to the ‘Skip Sizes’ page.